Assad regime supporter Tim Anderson, who is on the teaching staff of the University of Sydney, is organising a conference at the University entitled “After the War on Syria” on 18-19 April. This is presented with all the paraphernalia of an academic gathering, though I cannot comment on the political diversity or otherwise of the speakers and presenters. But I do recognise some familiar names from Anderson’s local entourage, and I see that one of the keynote speakers is Leith Fadel, editor of the vociferously pro- regime Al Masdar News. I’m not concerned here with the Conference but rather with Anderson’s long standing attempt to project himself as an authority on the Syrian conflict with academic credentials. Anderson’s principal claim to authority is a book entitled The Dirty War on Syria, much of which first appeared as posts on the Global Research website. This work provides a handy conspectus of Anderson’s approach to the Syrian conflict and to knowledge in general. It merits a closer look. Here we have a central proposition of Anderson’s – all stories that come from “partisan sources” carry no credibility and can be safely ignored. Anderson is quick to dismiss “partisan sources” when they bear adversely on the position he is expounding, but appears blithely unware that an argument of this sort is only logically tenable if it is consistent. If it applies to “partisans” opposing Assad then it must equally apply to the partisans of the other side—such as Anderson. Moreover Anderson & co.’s definition of “partisan sources” has a far wider sweep than the phrase suggests: he applies it not only to anyone who opposes the Syrian regime but to the entire western media, academic institutions, human rights organisations, and even most recently, relief organisations like Medecins sans Frontieres. Anderson’s world is built around a binary divide—you are either on his side in relation to Syria or you are a paid hack, obeying the orders of some hidden hand. There is no room for professional principles and intellectual independence—every journalist, every human rights worker, every researcher, every academic specialist on Syria, who dissents from his view is simply a “partisan” whose views can be ignored or dismissed. This is the epistemology, not of an academic or scholar, but of a propagandist. Anderson begins his account with a review of the events of 1980-1982, when an armed revolt against the regime of Hafiz al-Assad, supported by the Muslim Brotherhood, was put down with massive violence that targeted both armed oppositionists and ordinary inhabitants. He claims the events of 2011 in Daraa were cut from the same cloth. Anderson is neither clear nor consistent in his view of these early days of the uprising. He acknowledges that there was a legitimate protest movement in Syria at some point but asserts that: “the political reform movement had been driven off the streets by Salafi-Islamist gunmen, over the course of March and April”. 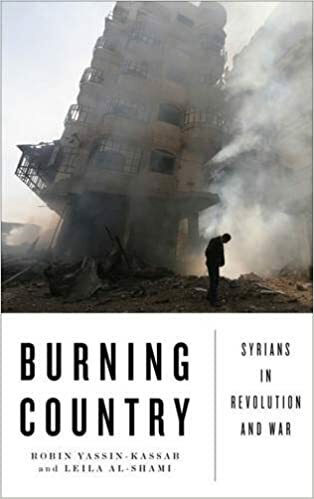 (p.20) However it was the Daraa events which first prompted a mass “reform movement” to take to the streets, a movement whose high point was the great 300,000 strong Hama demonstration of July 2011. The movement did not subside until it was bombed into submission in late 2013. The story of Dara is well known – in early March 2011 a group of 15 teenage boys wrote graffiti on a wall with slogans from the Arab Spring including “the people want the downfall of the regime”. They were arrested for this by the local security police, and tortured. When the families of these children met with the local security chief, Atif Najeeb, related to Assad through the Makhlouf family, they were treated contemptuously. This led to a demonstration against the local authorities on 18 March which was attacked by the security forces who killed two protestors. On the 20th another demonstration took place in which angry protestors burnt down the offices of the Baath Party and of the Syriatel mobile phone company, owned by Rami Makhlouf, another cousin of Assad; four demonstrators were killed on this occasion. Thus began a familiar pattern which was to mark almost every city in Syria over the following months – demonstrators would protest, at first in solidarity with Daraa and over local grievances, the security forces would attack them resulting in deaths; the funerals would mobilise even larger numbers, and the cycle would begin again. Anderson’s account of Daraa begins by citing reports from the Lebanese newspaper Ya Libnan and the Israeli Arutz Sheva of an incident alleged to have happened on Sunday 20 March in which they state that seven policemen were killed. (Anderson claims that this took place on 17-18 March and that “These police had been targeted by rooftop snipers” (p.20) although both sources state that the alleged event took place on “Sunday” (the 20th) and neither mentions “snipers”). This argument is not original ­ it was first made in March 2011 by Michael Chossudovsky in Global Research, where he noted that reports in The Guardian and Associated Press did not mention these killings. Any serious researcher faced with conflicting media reports would look more closely in order to try and establish factual accuracy. But that is not how things are done in the Global Research stable: they simply choose the accounts that fit their pre-determined narrative and adopt them without further inquiry. Seven policemen were killed during clashes between the security forces and protesters in Syria, Xinhua reported … The clashes erupted Sunday between the Syrian police and protesters after two young men [were] reportedly killed by the security forces in the town. An eyewitness told Xinhua that the Syrian police had surrounded the town, to prevent people from entering it. DAMASCUS, March 21 (Xinhua) — Protests in southern Syrian city of Daraa continued on Monday, the fourth consecutive day since the demonstrations broke out on Friday. Angry protesters reportedly stormed government buildings in Daraa, setting fire to the ruling Al-Baath party’s headquarters, the court house and two phone company branches. So we have here confirmation of the burning of the Baath Party offices on 20 March (Xinhua places it on the 21st but that seems to be an error), but the accusation of an unspecified number of police being” shot” (not necessarily killed) comes at second-hand from the Syrian authorities. The Xinhua reports on adjacent days add nothing to this. At the very least, we can say that the Anderson claim is left resting on flimsy foundations. However information that has subsequently become available demolishes this claim entirely. The database of the Violations Documentation Centre (VDC), set up by Syrian human rights activists, for many years included “regime casualties”. Anderson and his colleagues dismiss this source on spurious grounds – but in 2011 the VDC drew much of its information from announcements of the Syrian government and from a semi-official pro-government database, which is still accessible. The VDC records show that the first regime casualty in Daraa occurred on 23 March when an army Sergeant was killed, followed by the killing of a second Sergeant on the 24th.This is corroborated by the pro-regime site which gives the same information. It indicates that there were no police fatalities in Daraa, but adds a third death on the 25th ­ that of a warrant officer, a rank usually associated with the intelligence agencies (Curiously, this is confirmed by Sharmine Narwani, who Anderson relies on elsewhere for data on regime fatalities.) So that particular building block in Anderson’s theory of an Islamist conspiracy is clearly disproven. Let’s see what further evidence Anderson adduces to support this case. He states “The Syrian government, on the other hand, said there were unprovoked attacks on security forces, killing police and civilians, along with the burning of government offices” adding “There was foreign corroboration of this account” (my emphasis) … the British Daily Mail (2011) showed pictures of guns, AK47 rifles and hand grenades that security forces had recovered after storming the al-Omari mosque.” (p.17) And what did the Daily Mail identify as the source of these pictures? Syrian state television. Most researchers try to “triangulate” evidence (i.e. look for at least two independent accounts to corroborate a claim) – but Anderson’s preferred geometrical figure appears to be the circle, where a favoured claim can be allowed to circumnavigate the internet and come back to corroborate itself. We saw in different occasions how to arm small groups to form a “resistance” To arm a “resistance” doesn’t necessarily mean to give them tanks or heavy weapons like what happened in Libya However you give them weapons, so they defend themselves and exhaust the army. The goal is to drive the government forces outside the cities to the villages. After that I called Riad al-Assad. He told me that about 17 000 joined him, and he wants to engage in fight with the Syrian National army. First, let’s note that there is no explicit statement by Al- Eshki that the Saudis had been arming people in Deraa. To extract that claim from the video you have to interpret his words in a particular way. What Anderson and co take as the “smoking gun” is the second paragraph which I have highlighted above. But to read it in the way they do is to look at it out of context; if you read it along with the preceding paragraph its fairly clear that Al-Eshki is talking in general terms about the nature of the Syrian conflict and how to conceptualise it (as a “resistance” – i.e. a form of guerrilla warfare). The italicised passage looks more like a description of what you would do if you were sponsoring a “resistance”, than an account of something Saudi Arabia had actually done. Let’s explore the semantics of this text a bit further: Al-Eshki says that the visitor from Daraa “urged us to supply them with weapons” – that clearly indicates that they hadn’t yet done so. Al-Eshki; also reports that the “blind sheikh” who was imam of the mosque objected to weapons being stored there. Why would someone highlight the objection of an influential figure to something they were doing or planning to do? In his conversation with Riad al-Assad Al-Eshki appears to be counselling against the premature militarisation of the struggle. That reading is also the only one consistent with Al-Eshki talking about these things publicly at this early stage. We also have the question of timing. – for this conversation to fit in with Anderson’s argument it would have had to have taken place well before the 18 March. But there is no indication in Al-Eshki’s interview when the visit from Daraa took place, only that he contacted Riad al-Assad “after” it – a conversation that cannot have taken place until July (al-Assad did not defect until then). It seems unlikely that he would refer to two events more than four months apart in this way, so the Daraa conversation probably took place after the March events. Finally, let’s look at what the Syrian government was doing in this period – while repressing overt expressions of opposition, it was also trying to conciliate the initiators of the protests – the heads of the Daraa’s leading families. Assad demonstratively removed his cousin from the post of local security head; dismissed the State Governor, and sent two government ministers to convey condolences to the families who had members killed by the security forces on March 18th. (The official news agency SANA even referred to them as “martyrs”) Is it likely that the Syrian government would have responded in this way if an “Islamist insurrection” was in progress? We don’t need to invoke some fantastic “Islamist conspiracy” to explain the events in Daraa. The city was not likely terrain for a replay of the Hama rebellion – this was not Muslim brotherhood territory but a Baath Party fief, as every serious analyst of these events has noted. Daraa is an agricultural community that benefitted from the Baath’s early agrarian reform policies, and historically there had been a large Baath membership in the province. Two of the leading figures of the regime – vice-president Farouk al-Sharaa and deputy foreign minister Faisal Mikdad come from the area. That explains why the regime thought it could neutralise the unrest with a few conciliatory phrases. But it was also a centre that was severely affected by the 2008-09 drought that was so badly mismanaged by the Syrian government. Daraa itself was outside the immediate drought afflicted area, but its region, the Hauran, was badly affected and Daraa was one of the cities to which many devastated families had migrated. Thus, in 2011 Daraa was not a city of Islamist conspirators but of disillusioned Baath supporters and desperate farmers. That is one reason why their anger was directed against the Baath party headquarters and the offices of Syriatel, a company owned by Assad’s cousin Rami Makhlouf, a symbol of corruption and crony capitalism in Syria. The boys who were arrested for their graffiti came from some of the leading Daraa families as did the first victims of state repression. Atif Najeeb, the security boss who presided over all this, was an outsider, there because of his connections to the Makhlouf family. Haian Dukhan has documented how he violated all the protocols of tribal courtesy in his handling of the matter, alienating the only people who could have kept the lid on this pressure cooker. Daraa was a border town where people who had fallen on difficult times could make a living by smuggling – and that meant they often had a rudimentary stock of firearms; it was also an area where tribal identities and clan-based loyalties played an important role. Once the killing started, blood obligations kicked in, among a people who had the means to respond at hand ­ and did so. For that reason Daraa did see incidents of armed retaliation against the security forces earlier than other parts of the country, starting on 23 March, by which point 12 local residents had been killed by the security forces. Daraa was the first place to rise against the Assad regime, and the first where some individuals took up arms, not because of any Islamist influence, but because the regime had simply chosen the wrong people to humiliate and kill. 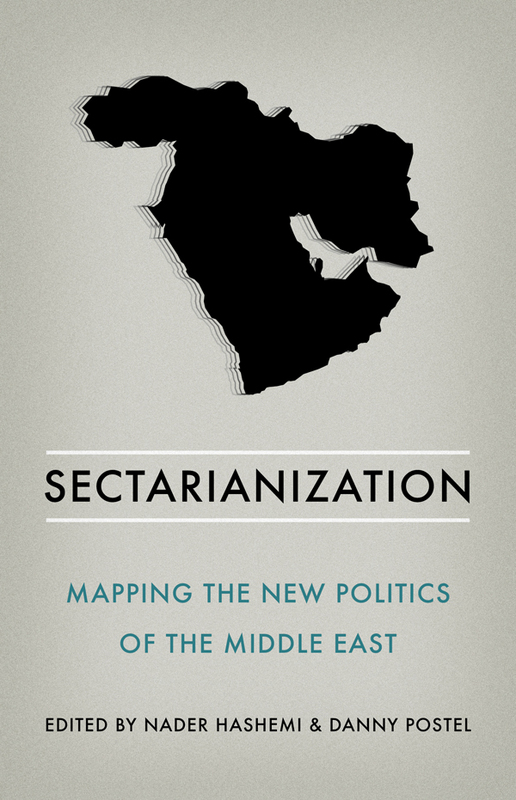 Anderson likes to present his work as that of an academic – he includes his Syria book in his University profile and he furnishes his text with a seeming academic apparatus of footnotes and references. But the way he treats his sources is singularly un-academic. He employs three principal methods to deal with the existing academic literature on Syria (and other sources). 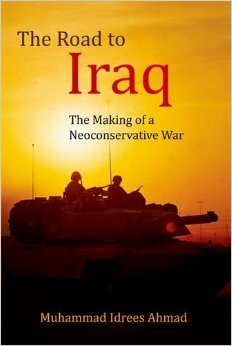 The first striking thing about Anderson’s work is that it makes virtually no engagement with the work of academic Syria specialists. He references academic researchers rarely and then in very strange ways. Thus Reinoud Leender’s detailed studies of Daraa are ignored, despite the fact that they deal with one of Anderson’s principal themes. Ray Hinnebusch’s important 2012 paper “Syria: from authoritarian upgrading to revolution?”’ is cited -but only as a source for statistics on the development of electricity supply! Another paper of Hinnebusch’s is included in the references list but not mentioned in the text. Volker Perthes’ paper Syria under Bashar al-Asad: Modernisation and the Limits of Change is dropped into the references list but also not referred to in the text, despite it addressing one of Anderson’s main topics. The seminal work of Hanna Batatu on the Baathist regime, Syria’s Peasantry, the Descendants of Its Lesser Rural Notables, and Their Politics is passed over, although a paper of Batatu’s on the Muslim Brotherhood is included (see below for the way that is treated). Anderson p. 45 “…according to Batatu, it was never the religious beliefs of the Sunnis which were under threat from the Ba’athists, but rather that ‘the social interests of the upper and middle elements of their landed, mercantile and manufacturing classes’ saw advantage in the Brotherhood (Batatu 1982: 13). Meanwhile, Sunni members of the army are coming under increasing suspicion by the security agencies, and there have been cases of security men killing soldiers for refusing to obey orders to shoot. Hundreds of soldiers and officers have also been arrested. Anderson p.20: “The United Nations … estimated from several sources that, by early 2012, there were more than 5,000 casualties, and that deaths in the first year of conflict included 478 police and 2,091 from the military and security forces (OHCHR 2012:2; Narwani 2014). That is, more than half the casualties in the first year were those of the Syrian security forces. That independent calculation was not reflected in western media reports.” (my emphasis). Anderson is, of course, perfectly entitled to disagree with every academic Syria specialist on the planet, but it’s a strange sort of “academic” who simply ignores everyone else in the community which he is claiming membership of. And an even stranger sort that uses these methods of cherry-picking and misrepresenting sources. What Anderson displays above all else in this work is contempt for his readers, assuming that they are either too stupid, too lazy, or too naïve to check his sources and references. Anyone who does so quickly realises that the person they are dealing with is not a serious analyst but a snake-oil salesman in academic regalia. Batatu, Hanna (1982) “Syria’s Muslim Brethren”, MERIP Reports, Middle East Research and Information project (MERIP), No 110, “Syria’s troubles”, Nov-Dec. The ‘good’ professor has recently returned from a solidarity visit to the DPRK with the ‘independent’ ‘journalist’ Eva Bartlett in tow. Next Next post: Moar like Absurdo, amirite?